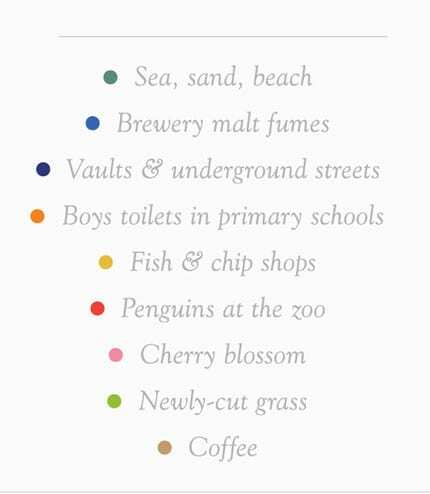 Following on from my previous post about Kate McLean’s wonderful smell maps, on Friday I went down to Margate to see one of them for myself! Her map ‘Summer Aromas of Newport, RI’ was one of the exhibits at Margate Pie Factory’s Nostalgias exhibition (1-12 November), held in conjunction with Canterbury Christ Church University and The University of the Arts London’s Nostalgias: Visualising Longing conference, and offered a delightfully (and sometimes stinkily) aromatic tour of the New England harbour town. So, what does Newport, Rhode Island, smell like? According to Kate McLean, it’s a mixture of the sea, juniper bushes, lobster bait, ice-cream, freshly-cut timber and beach roses, amongst other things. 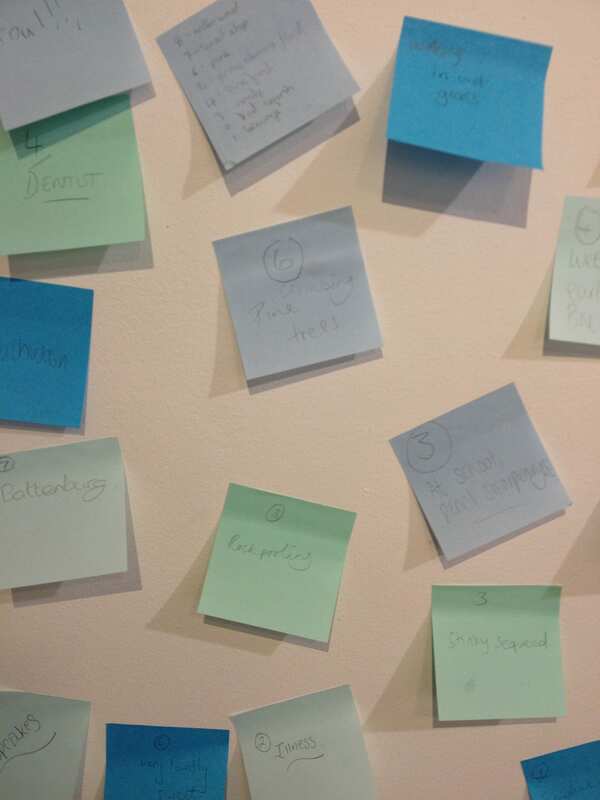 But visitors to the exhibition didn’t have to take her word for it. 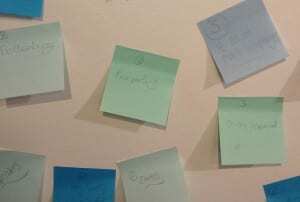 The various scents of the seaside town were arrayed on a table in tiny medicinal, Bristol-blue glass bottles, like eccentric phials of perfume; visitors were invited to sniff each bottle, decide what it smelled like, write it on a Post-It note and stick it on the wall. Responses ranged from precise attempts to pinpoint the scent to the highly idiosyncratic: smell no. 3, for example, which had a fresh, fishy tang of the ocean, was variously described as ‘Margate today’, ‘the harbour’, ‘school science lab test tubes’, and even ‘at school, pencil sharpenings’. 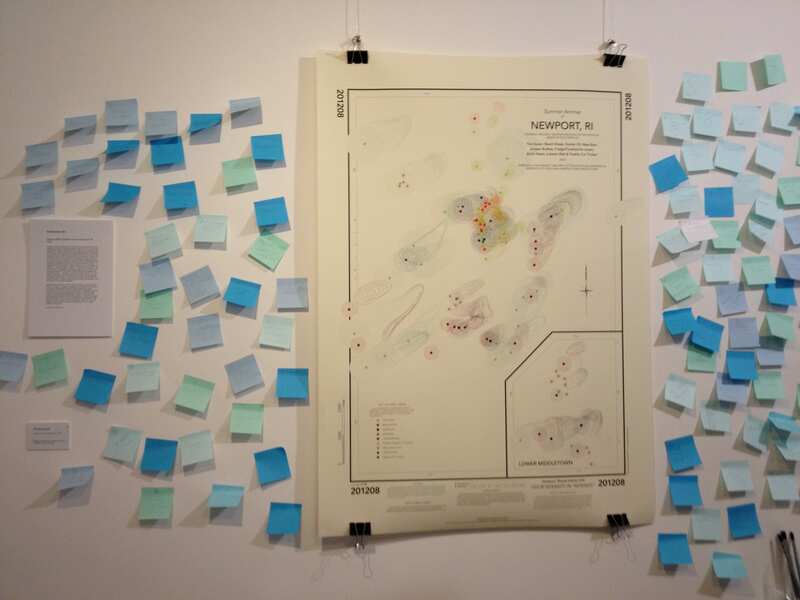 In the middle of the sea of mint, teal and powder-blue Post-It notes was Kate’s own ‘smell map’ of Newport. This showed the sources, range and intensity of the different scents, illustrated by colour-coded circles (for the sources) and wavy contour lines (for the range) on a parchment-cream background, like some dreamlike oceanographer’s chart. The whole exhibit was extremely visually (and nasally) appealing, mapping – and literally bottling – an aspect of landscape which is often both almost imperceptible and wordlessly accepted without further analysis. 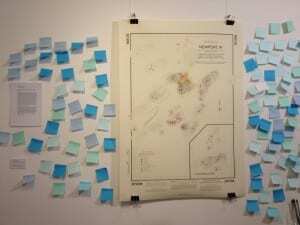 Although Nostalgias didn’t focus explicitly on maps, in their different ways all the artists in the show used mapping as a way of exploring nostalgia for places, constructing their own private maps of different geographical areas. For instance, Chu YinHua’s Encoding Memories: Tainan traced the streets of the Taiwanese town by collecting stories about the different foods for sale there, recording these in a beautiful, woodcut-precise book of mingled street maps and stories. 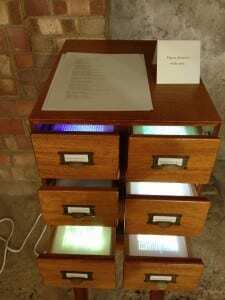 Meanwhile, A Collected History of Light by Michaela French was a luminous curiosity cabinet of a sculpture, capturing the precise colours of daylight from various locations and storing each one, fixed and unblinking, in the lightbulb-lined drawers of an old-fashioned wooden card catalogue. From specimen drawers of light to bottled lobster bait, Nostalgias explored ways of distilling, fixing and categorising memories of places, whilst recognising the flickering subjectivity of these nostalgic reflections. As exercises in mapping, the guided routes into real or imagined pasts offered by the various exhibits were frequently beautiful, occasionally whiffy, and invariably intriguing. I’ve been continuing to experiment with ways of visualising the Breton lai metadata I’ve been collecting, and the latest visualisation I’ve created is a map of Breton lai motifs. I wanted a way of showing all these topics – as well as more specific motifs – which would allow the viewer to see which lais they appear in, and also to highlight instances where a motif or theme appears in more than one lai. Essentially, I’ve gone back to the Tube map idea of lines and stations, where each lai is a line, each motif is a station, and motifs shared by more than one lai are interchange stations. However, this is a much freer version of the design than my Middle English genres map, with curved lines, a different colour scheme, and ‘interchange stations’ made of increasing numbers of concentric circles according to the number of lais containing the motif. For this map I’ve just included the twelve lais by Marie de France; anything more would have made the page far too busy. 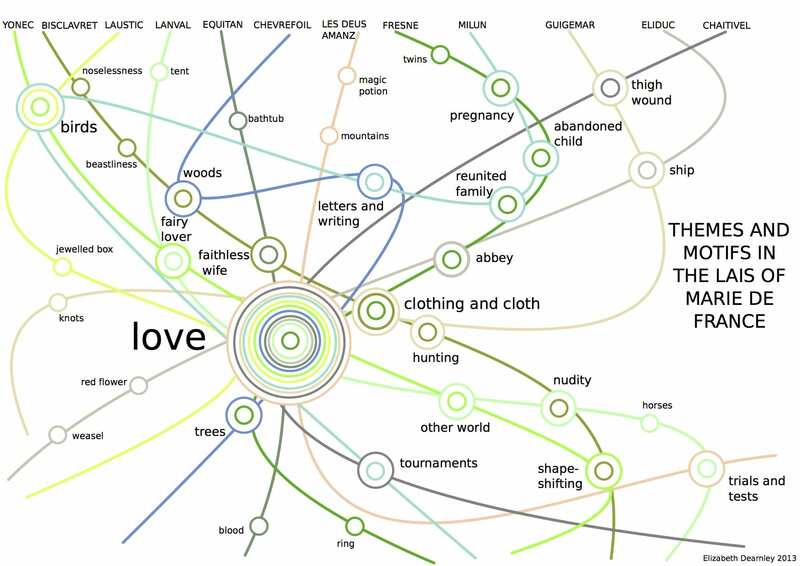 The map certainly bears out the observations made in the Orfeo/Freine prologue – ‘Mest o love, forsothe, they beth’ – with ‘love’ featuring as a major theme in all but one lai (only Bisclavret, with its focus on lycanthropy and human nature, doesn’t really spend much time on love). ‘Fairy’ is also shown to feature in two of Marie’s lais, Lanval and Yonec (where a woman falls in love with a fairy knight who can turn into a hawk), as does ‘trecherie and…gile’ in the shape of the faithless wives in Equitan and Bisclavret. Some more specific motifs also appear in several lais. ‘Birds’ feature in three tales: Yonec, Laüstic (where a nightingale’s song provides cover for a lovers’ meeting) and Milun (where lovers communicate by letters tied to a swan). ‘Cloth and clothing’ also form key parts of the plot in three lais: Fresne (where recognising a piece of brocade leads to a reunion between mother and daughter), Bisclavret (in which the hero is unable to turn back into a human without his clothes) and Guigemar (where Guigemar and his lady exchange a shirt and belt just before they are separated). ‘Trees’, meanwhile, appear both in Frene (where the infant heroine is discovered in an ash tree) and Chevrefoil (in which Tristram places a signal for Iseult on a hazel branch). To an extent, of course, this map is subjective in what it includes, and is by no means an exhaustive summary of lai contents. The shape of the curves also meant that it was difficult to zig-zag back and forth with individual lais to create all the possible connections. For instance, both Guigemar, Chevrefoil and Yonec also contain unfaithful wives, although in this case the wives are the heroines (only the ‘bad unfaithful’ are included on my map). However, hopefully it provides a helpful and accessible overview of the ‘ferli thing’ found in Marie’s lais! 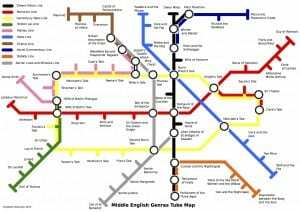 On the medieval side of things, the Imagining History project, which ran a few years ago at Queen’s University Belfast, have done some ingenious Tube-style maps of manuscripts of the Middle English prose Brut. This was one of the most widely-disseminated texts of the English Middle Ages, with 183 manuscripts having survived (to put this into perspective, there are 83 surviving manuscripts containing at least part of the Canterbury Tales), and mapping the connections between these is a complex task. 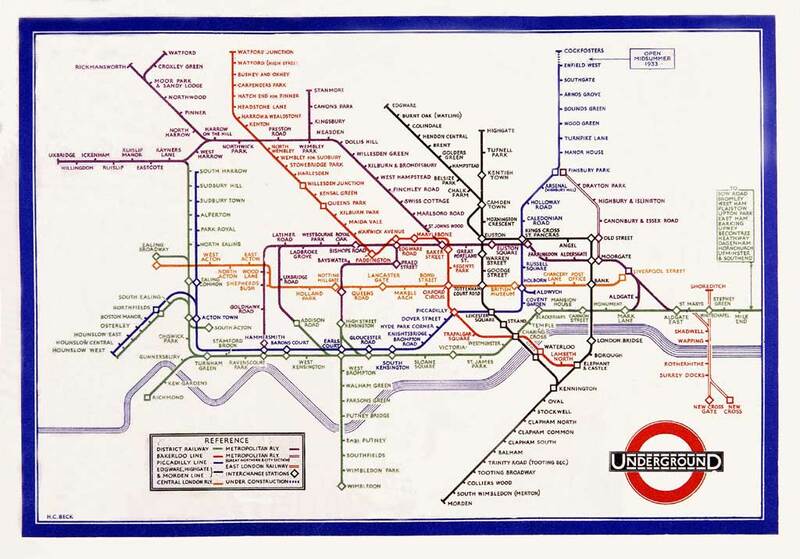 However, as the project team suggest, the ‘information architecture’ provided by the Tube map is a very useful way of showing the various types of connections. With these maps, the ‘interchange stations’ are given different symbols to indicate manuscripts, the types of places owning or producing manuscripts, and people and places connected with manuscripts. Moving to the present day, Victoria Henshaw of the University of Sheffield works on an entirely different kind of mapping: smellscapes! Her work traces the connections between cities and the smells associated with them, considering how scents such as grass, breweries, street food and drainage systems all influence our sense of place. 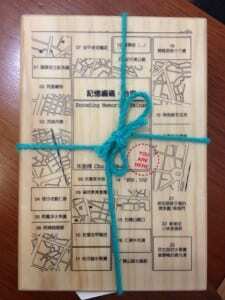 As well as recently publishing a fascinating-looking book, Urban Smellscapes, she also leads ‘smellwalks’ through cities around the world, encouraging participants to think about the way in which smells contribute to our perception and memories of streets, squares and other public areas. Victoria is going to be running a smellwalk in London next month at UCL’s Institute of Making, so I’ll see if I can book a place! Looking at Victoria’s work led me to researcher and designer Kate McLean, whose amazing maps on her website Sensory Maps chart the smellscapes, tastescapes and even touchscapes of Edinburgh, Paris and other cities. Beautiful works of art in their own right – have a look at the delicate paper-white tactile maps of Edinburgh, or the crayon-colourful contour lines of her smell maps – Kate’s maps bring a whole new range of sensory experience to the idea of the city map. 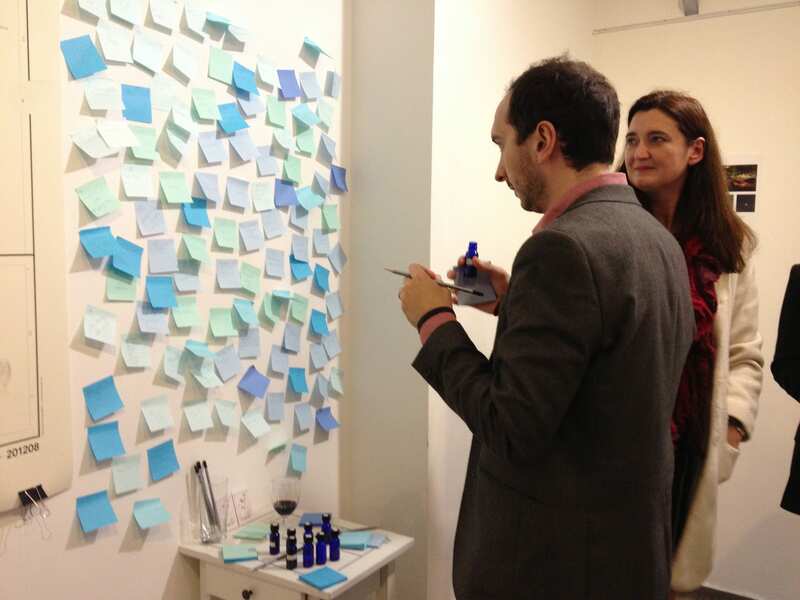 Kate has also created several exhibitions related to her smell maps, where viewers are invited to sniff samples of the various scents, from fish and chips to penguins at the zoo. I’ll be keeping an eye out for the next one on her engaging blog, where she discusses her work on smells, smell-mapping, and even an experiment in bottling the scent of a horse. Kate McLean, smell map of Edinburgh (reproduced by kind permission). The coloured dots indicate the origins of scents; the contour lines show where the scents blow in the wind. From mapping the Brut to the scents and reeks of Edinburgh, I hope you enjoy these maps! I’ve been thinking more about data visualisation and mapping, this time in terms of how to illustrate relationships between different medieval texts. In particular, I’ve been wondering how to show ways in which different medieval genres relate to each other. Paris, Bibliothèque Nationale de France, MS nouv. acq. fr. 1104, fol. 79r. This manuscript is filled entirely with lais, clearly labelled as such. The text at the bottom of the image reads ‘Explicit les lays de breteigne’ (The Breton lais end here). As a genre, the lai is simultaneously strongly-defined and very ‘open’. On the one hand, lais have a strong sense of their own identity, usually expressed in their prologues and epilogues. Here they generally declare themselves to be lais, and contain several items from a fairly fixed list of lai characteristics (e.g. revealing the title of the lai, revealing that it is a tale of the ancient Bretons, declaring that the story is a true one). On the other hand, the types of texts calling themselves lais are so varied that it is difficult to come up with a satisfactory, stable definition; indeed, one of the best ways of deciding whether a text is a lai or not is if it declares itself to be one. In the Middle Ages, short verse narratives such as the Breton lai were very flexible from a generic standpoint; shorter poems could be used as filler items in manuscript miscellanies, and could be adapted to suit a variety of different manuscript contexts. Within a manuscript culture, where texts had to be copied out each time rather than printed in bulk, there was no one set version of a text. Each copy had the potential to be slightly different, and lines of a poem – or entire sections – could be added or removed by the scribe of a new manuscript if the existing copy wasn’t to his taste (Paul Zumthor has called this phenomenon mouvance; the Wessex Parallel WebTexts project based at the University of Southampton has a very helpful discussion of this here). The way in which short verse narratives move between manuscripts has recently been the focus of a major cross-European research project, The Dynamics of the Medieval Manuscript, whose website also has a wonderful virtual exhibition about the manuscripts from the project. In addition to their intrinsic flexibility, there is also a good deal of overlap between lais, fables, fabliaux and other short verse narrative genres, which often draw on a common pool of subject matter, style and imagery (for instance, both lais and fabliaux feature wandering knights who are granted wishes by fairies, although in the case of the fabliaux the wishes are somewhat more salacious). Even medieval texts themselves suggest that one type of story can develop from another. As the bawdy fabliau La Vielle Truande (The Old Woman) puts it in a semi-spurious etymology, ‘Fabliaux are made from fables, just as new music is made from notes […] and stockings and leggings from cloth.’ Occasionally, a text labelled as a lai in one manuscript will be called something else in another; for example, Oiselet (The Little Bird), describing a battle of wits between a bird and a peasant, is called a ‘lai’ in Bibliothèque Nationale de France MS nouv. acq. fr. 1104, and a ‘dit’ in Bibliothèque Nationale de France MS fr. 24432. Adopted by subway systems all around the world from Lisbon to Shanghai, the abstract geography of Beck’s design is also a simple and elegant way of showing ways in which different categories of people, genres or ideas are interconnected. Since Simon Patterson’s The Great Bear, which replaced station names with those of actors, philosophers and other well-known figures, versions have been created exploring musical genres, Shakespearean characters, languages of the world, the human body, and even the structure of the Milky Way. The yellow Circle Line has become the Canterbury Tales Line, with the various tales told by Chaucer’s pilgrims jostling promiscuously into almost every genre; the scarlet Central Line, which intersects with almost as many, has become the Romance Line (romance is even harder to define generically than the lai, and in Middle English the term can simply mean ‘a text translated from French’). The formica-pink Hammersmith and City Line, which runs alongside the Circle Line for several stops, translates nicely into the Fabliau Line, a well-represented genre in the Canterbury Tales. Breton lais follow the route of the green District Line; again, there is some overlap with the Canterbury Tales, with the linked stations of Wife of Bath’s Tale and Wife of Bath’s Prologue providing a speedy route from fabliau to lai. 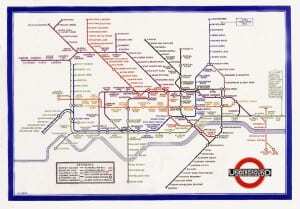 The black Northern Line has become the Dream-Vision Line, intersecting twice with the Canterbury Tales (the Nun’s Priest’s Tale and the Monk’s Tale, both of which contain dream episodes), once with the Romance Line (in the Romaunt of the Rose, a translation of the most influential of all medieval dream poems), and sharing several stops with the orange Debate Line and the dark blue Social Commentary Line. The light blue Fable Line also connects with two Canterbury Tales, and intersects with both the Canterbury Tales Line and the Dream-Vision Line at Nun’s Priest’s Tale interchange. Three-way interchanges can also be found at Joeseph’s Trouble About Mary and the Wakefield Second Shepherd’s Pageant, two plays from the York and Wakefield mystery cycles which both retell episodes from Saints’ Lives and share elements of their comedy with the fabliau, with Joseph suspicious that ‘som man in aungellis liknesse/With somkyn gawde has hir begiled’ (some man disguised as an angel has deceived her with some trick) when confronted with Mary’s pregnancy. Indeed, the Miller’s Tale, twinned here with JTAM, knowingly burlesques the Annunciation in its tale of carpenter John, his enticing young wife Alison, and her romance with the student lodger Nicholas. Finally, the silver-grey Jubilee Line has become the Saints’ Lives and Miracles Line, intersecting with Romance with the Arthurian Tale of the Sankgreal, Canterbury Tales with the Prioress’ Tale (a miracle of the Virgin) and Dream-Vision with the revelations of St Bridget of Sweden. 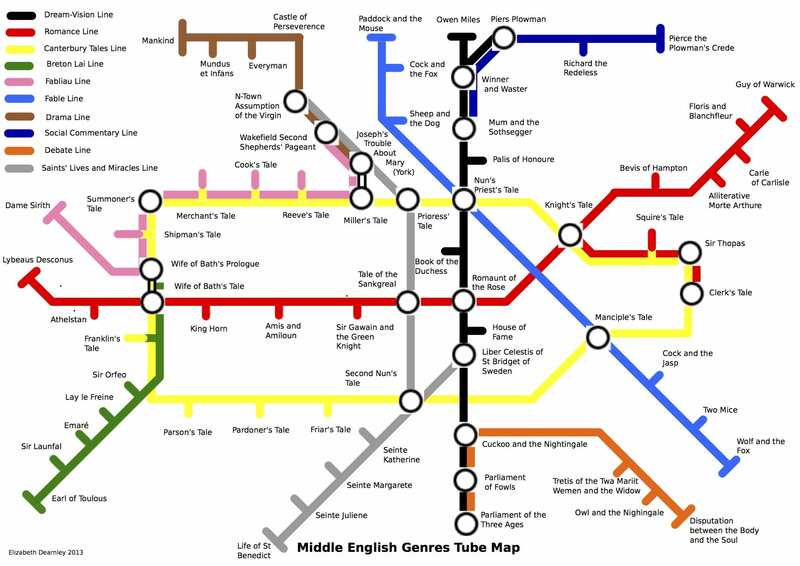 To be sure, Middle English genres don’t translate perfectly into tube map form; the Canterbury Tales isn’t really a genre (although story collections are), and it’s slightly cheating to count the Wife of Bath’s Prologue as a separate tale for the purposes of linking lai with fabliau. If you have any suggestions or additions, I’d be happy to hear them! The real-life places named as settings in French-language lais: click here for link to a full-size map with further information about each place. A sense of place is an essential part of Breton lais. A quick glance through the opening lines of several tales suggests that the storytellers felt it important to reveal not only what happened in their chosen aventure, but where it happened. The fairy-mistress story Guingamor, for instance, opens by declaring that En Bretaingne oi .I. roi jadis, ‘there once lived a king in Brittany’; the delicately macabre Laüstic sets itself En Seint Mallo en la cuntree, ‘in the region of St Malo’, where Ot une vile renumee, ‘there was a famous town’; the tragic Deus Amanz, meanwhile, begins by telling its audience that Verité est ke en Neustrie,/Que nus apelum Normendie,/Ad un haut munt merveilles grant, ‘The truth is that in Neustria, which we call Normandy, there is a marvellously high mountain’. Very often, the warp and weft of landscape and story are closely woven together into the lai narratives. 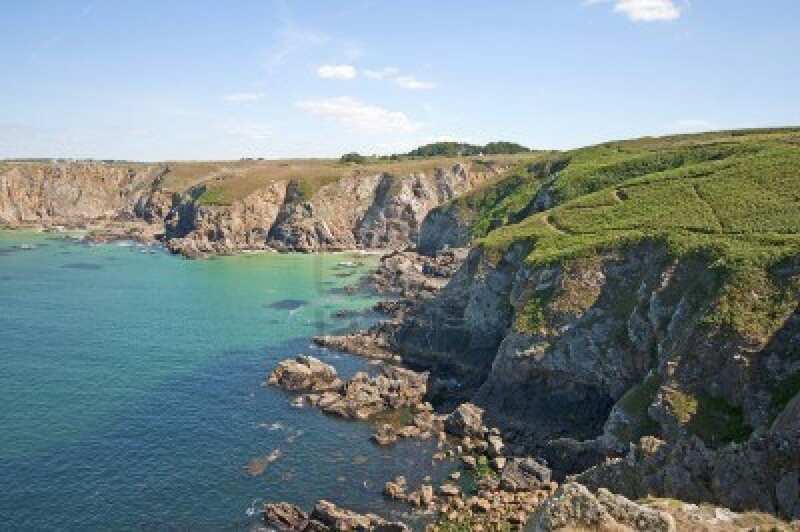 A large number of lais are set in the Celtic areas of Britain and northern France: Wales, Scotland, Ireland, Cornwall, and, above all, in Brittany, where (as Marie de France and other lai writers declare) stories of adventures and marvels were transformed into lais for posterity by the ancient Bretons. Whether or not all stories credited as ‘Breton lais‘ were truly taken from old Breton tales, a Celtic background was adaptable for a variety of storytelling purposes, imbuing any stories set in such places with what medievalist Christopher Page has called ‘Celtic mystique’. When told in French by the Anglo-Norman speakers of post-Conquest England, or the courtiers of continental France, beginning a story with ‘In Breteyne bi hold [old] time’ (the word ‘Breteyne’ could stand either for Britain or Brittany) could immediately evoke an atmosphere of a semi-mythical, just-out-of-reach past, set in a northern European landscape of forests, mountains and rocky coasts which was both familiar and – when viewed through the sea-misted lens of Breton stories originally told in ‘hir firste Briton tonge’ – enticingly exotic. However, the majority of lais are also set in real places within these Celtic realms, lending them a concrete geographical specificity alongside the fantastical events they describe. Three lais (Chaitivel, Equitan and Tyolet) take place in Nantes, one of the major cities of the historic province of Brittany. 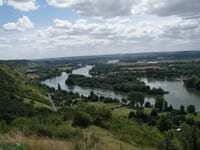 Meanwhile, a Normandy-based tale, Marie de France’s Deus Amanz, is set in the city of Pîtres on the Seine. The events of this tale are reflected today in place-names of the area; a hill overlooking the river is named the Côte des Deux Amants, and is said to be the one climbed by the lai‘s unfortunate hero, and a nearby lake (and campsite) takes the same name. Of the British locations, a handful are set in Scotland (Doon, Trot, Desiré), with a couple in the northern borderlands of Northumbria and Carlisle. As the story of Lanval opens, King Arthur is holding his court in Carlisle, ‘pur les Escoz e pur les Pis/Ki destruient le païs’ (because of the Scots and Picts who were destroying the country). 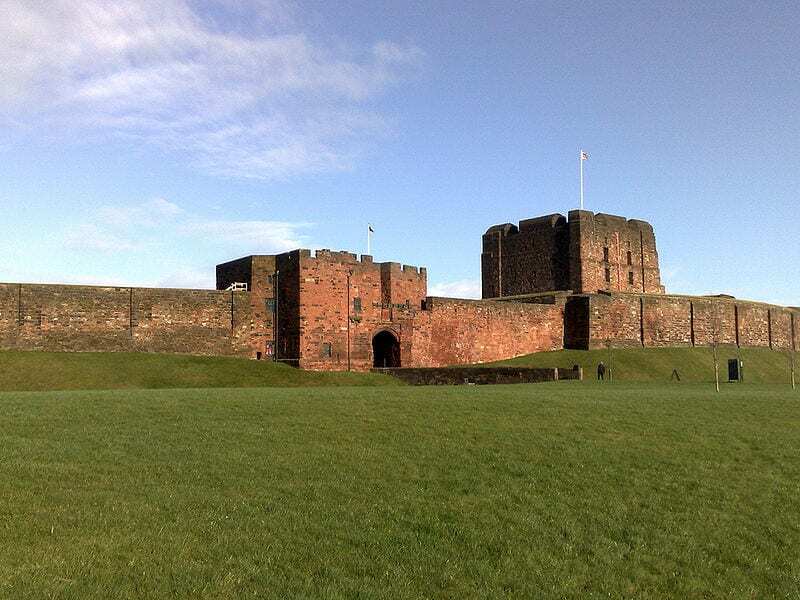 Founded by the Romans to serve the forts on Hadrian’s Wall, Carlisle’s proximity to the Scottish border made it a strategically important English base throughout the Middle Ages and beyond. Reflecting this, Carlisle was a popular location for Arthur’s court of Camelot in medieval tradition, and is used as a setting in several Arthurian romances. The largest number of Britain-based lais, however, are associated with South Wales (Chevrefoil, Cor, Milun, Yonec). The knightly heroes Milun and Tristram are described in the lais as coming from that region. Linguistically and politically separate from England in post-Conquest Britain, Welsh material found its way into French-language works, possibly in part through Welsh-speaking ‘latimers’, or professional interpreters working for the Anglo-Norman government. 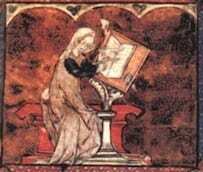 Medieval scholar Constance Bullock-Davies has raised the possibility that one source of Celtic material for Marie de France may have been from a latimer attached to a noble household. However, as the map shows, a scattering of other locations are referred to, all from the Mediterranean and Middle East. In Les Deus Amanz, the Italian city of Salerno is named as the home of the heroine’s aunt. Wishing to give her beloved the necessary stamina to carry her up a steep hill (the challenge set by her father before they can marry), she urges him to visit her aunt, a skilled practitioner of medicine, for a strengthening potion. Salerno had a strong association with medicine in the Middle Ages, being the site of a famous medical school, and was particularly associated with women healers; the popular compendium of women’s medicine, the Trotula, was traditionally attributed to a woman from this area. Lais with Classical rather than Celtic themes, meanwhile, are set in the locations of their original tales, taken from Ovid’s Metamorphoses, Thebes (Narcisus et Dané) and Babylon (Piramus et Tisbé). The map I’ve created of lai settings allows you to see all the real-world places named in Breton lais. Clicking on each place name will give you more information about each place and the story associated with it. So far, I’ve just added the places named in French-language lais; in time, I’ll make separate maps giving the places named in the lais of different language traditions. The English and Norse translators sometimes altered the settings to suit their audiences (the English version of Fresne, for instance, moves the action from Dol-de-Bretagne to ‘the west cuntré’ of Britain, and the Norse translator of Bisclavret adds a touch of local verisimilitude with the detail that ‘He who translated this book into Norse saw in his childhood a wealthy farmer who shifted his shape’). I hope you enjoy the map – it’s still a work in progress, as I think about different ways of mapping Breton lais, and about the relationship between landscape, the lais themselves, and the journeys made by lais and similar stories across Europe both orally and in manuscripts, so I’d be happy to hear any suggestions or comments!